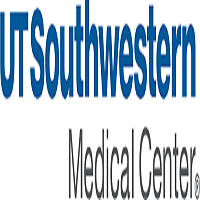 This position represents a collaboration between the Department of Immunology (Lora V. Hooper, Ph.D., Chair) and the Kidney Cancer Program at UT Southwestern Medical Center (James Brugarolas, M.D., Ph.D., Director).Candidates for this position should have a PhD or MD degree, at least 3 years of postdoctoral training, and an exceptional publication record. Successful candidates are expected to be competitive for additional start-up funds from the Cancer Prevention & Research Institute of Texas (CPRIT). The selected candidate will be expected to establish an independent research program in cancer immunology and to train graduate students and postdoctoral fellows as members of our nationally recognized graduate programs in Immunology and Cancer Biology. In addition, she/he will be expected to collaborate with other investigators, present seminars and publish scientific articles. Appointment rank will be commensurate with academic accomplishments and experience. Interested candidates should submit, via email, a CV, 3 letters of reference and a description of research interests (2-3 pages) to Drs. Lora Hooper and James Brugarolas c/o Andrea.Gonzales@UTSouthwestern.edu.